Joseph Francis Mazzello III was born on 21st September 1983, in Rhinebeck, New York State USA, of part-Italian and German-Jewish (father) and English, Irish and Polish (mother) descent. He is an actor, director and screenwriter, best known for his roles in such movies as “Jurassic Park” (1993), “The River Wild” (1994), “The Lost World: Jurassic Park” (1997), and “The Social Network” (2010). Mazzello’s career started in 1990. Have you ever wondered how rich Joseph Mazzello is, as of late 2016? According to authoritative sources, Mazzello’s net worth is estimated to be as high as $1.5 million, an amount earned through his successful acting career. In addition to his performances on the big-screen, Mazzello also works as a director and screenwriter, which has improved his wealth too. Joseph Mazzello is a son of Virginia and Joseph Mazzello, Jr., who was an owner of a performing arts school. Joseph grew up in Hyde Park, New York with his older sister Mary and a younger brother, John. Mazzello went to the Catholic school Our Lady of Lourdes, and is an alumnus of the University of Southern California, thanks to Steven Spielberg’s recommendation letter to the USC School of Cinematic Arts. Joseph now funds the college with the salary he earned in “The Lost World: Jurassic Park”. He started his career in the TV movie “Unspeakable Acts” in 1990, and then had a minor role in “Presumed Innocent” (1990) starring Harrison Ford and Raul Julia. In the early ‘90s, Mazzello appeared in Richard Donner’s “Radio Flyer” (1992) alongside Lorraine Bracco, John Heard, and Adam Baldwin, and later he played in Steven Spielberg’s Oscar-winning sci-fi adventure “Jurassic Park” (1993) with Sam Neill, Laura Dern, and Jeff Goldblum; the movie grossed over $1billion worldwide and was the highest-grossing film ever at the time. 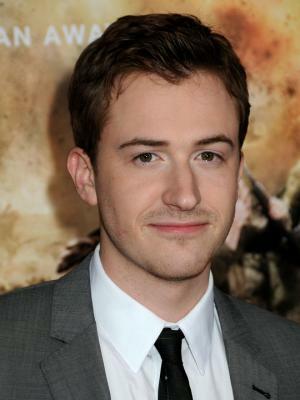 Although he had a smaller part, the movie helped Mazzello to increase his net worth significantly. Also in 1993, Joseph had a role in Richard Attenborough’s Oscar-nominated biography “Shadowlands” starring Anthony Hopkins and Debra Winger. A year later, Mazzello played alongside Meryl Streep and Kevin Bacon in the Golden Globe Award-nominated “The River Wild”, then in the mid-90s, he starred in such movies as “A Father for Charlie” (1995) with Louis Gossett Jr., “The Cure” (1995) with Brad Renfro, and “Three Wishes” (1995) with Patrick Swayze and Mary Elizabeth Mastrantonio. He ended the decade with “The Lost World: Jurassic Park” (1997) starring Jeff Goldblum, Julianne Moore and Pete Postlethwaite, and “Simon Birch” (1998) with Ian Michael Smith, Ashley Judd, and Oliver Platt, which certainly increased his net worth by a large margin. Mazzello’s career took a step down in the 2000s, as he failed to secure notable roles, but still appeared in such films as “Wooly Boys” (2001) with Peter Fonda, Kris Kristofferson, and Keith Carradine, and in “Raising Helen” (2004) starring Kate Hudson, John Corbett, and Joan Cusack. In 2010, Joseph played in Golden Globe Award-nominated TV mini-series “The Pacific”, and then in David Fincher’s Oscar-winning movie “The Social Network” (2010) with Jesse Eisenberg, Andrew Garfield, and Justin Timberlake. Most recently, Mazzello had parts in “G.I. Joe: Retaliation” (2013) alongside Dwayne Johnson, Channing Tatum, and Adrianne Palicki, and in the comedy “Undrafted” (2016), for which he wrote the screenplay and was the director. Regarding his personal life, Joseph Mazzello’s most intimate details such as marital status and number of children are unknown as he successfully manages to keep them out of the public eye, but rumours suggest that he is gay. Place Of Birth Rhinebeck, New York, U.S.
Parents Virginia Mazzello, Joseph Mazzello, Jr.
1 You guys are getting exponentially weirder. 2 Make acting seem real and as if it weren't acting. Just make it real. 1 He played Richard Attenborough's grandson in Jurassic Park (1993). Attenborough later cast him as Douglas Gresham in Shadowlands (1993), his next film as a director. 3 His father is of three quarters Italian and one quarter German Jewish descent. His mother has Polish and Irish ancestry. 4 Attended Our Lady of Lourdes High School in Poughkeepsie, NY. 5 Was considered one of the 55 faces of the future by Nylon Magazine's Young Hollywood Issue. 6 When work began on A.I. Artificial Intelligence (2001) in 1993, he was cast as David. 8 Has been passionate about oldies music, and when he was growing up, his sister teased him for being old-fashioned. 9 His hometown of Hyde Park, NY is where Franklin D. Roosevelt used to live. 10 Favorite actor is his idol, James Stewart. 11 Was put under a contract in 1993 for Wartime Lies, a screenplay based on the novel by Louis Begley, under direction of the late Stanley Kubrick. He was on the contract for two years. The movie was never made. It did however, lead to rumors of him being in A.I. Artificial Intelligence (2001). 12 Favorite movie is It's a Wonderful Life (1946). 13 Raised in Hyde Park, New York. 14 Joseph was originally going to play Jack Banning, Robin Williams' son in Hook (1991), but he was too young for the part. Steven Spielberg went out of his way to the point of changing the script for Jurassic Park (1993) so that Joseph could play Tim. 15 Brother of John Mazzello, also has an older sister, Mary. 16 In the original 1990 novel of Jurassic Park, Tim was age 11 and Lex was age 8. Steven Spielberg swapped their ages in Jurassic Park (1993) so that Joseph could play Tim. 17 Radio Flyer (1992) began filming on Joe's 7th birthday.